Brimades. Humiliations. Tragédies. Tel se présentait le lot de Sipho malgré 43 ans de bons et loyaux services comme bibliothécaire sous l’Apartheid. Avec la nouvelle Afrique du Sud il espère être promu bibliothécaire en chef. Dans le même temps la commission Vérité et Réconciliation n’arrive toujours pas à révéler à sa fille Thando, l’auteur du meurtre du fils de Sipho. Sa seule et inconnue nièce Mandisa, elle, arrive de Londres avec les …cendres de son père. N’est-ce pas une transgression des traditions ? What has changed in democratic South Africa for ordinary men, those who resisted and fought in silence against apartheid, without having a political role and without becoming heroes of the ANC? Perhaps not very much. Sipho is a librarian and the brother of a famous ANC leader who had fled to England without ever returning to South Africa. The body of his brother is now coming back to the country and Sipho has to organize the funeral. The event is the opportunity to reflect on his life and the humiliations he always had to endure from his brother, who had been a hero but also a very selfish person. 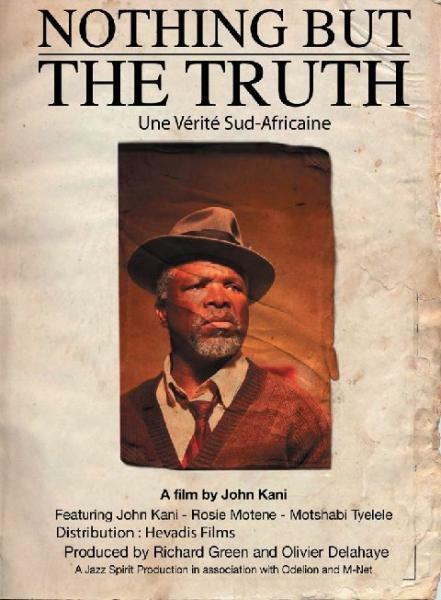 At 60, Sipho still has not managed to obtain a promotion in the library where he has worked for a lifetime and with the Truth and Reconciliation Commission (TRC), he did not even obtain justice for the murder of his son in the period of apartheid.